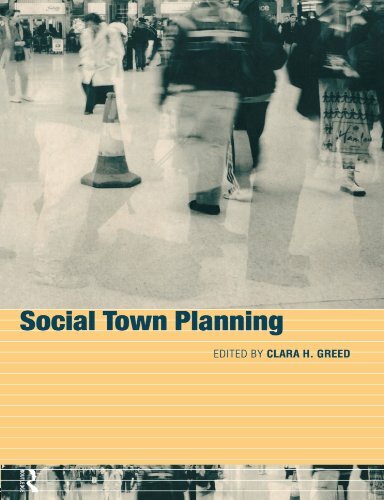 This book introduces the concept of 'social town planning' to intergrate planning policy and practices with the cultural and social issues of the people they are planning for. Many issues such as access for the disabled, childcare facilities, environmental matters, and ethnic minority issues are excluded from town planning considerations by planning authorities. This book introduces the concept of 'social town planning' to integrate planning policy and practices with the cultural and social issues of the people they are planning for. Part 1 provides background on the development of a social dimension to the predominantly physical, land use based, British town planning system. Part 2 investigates a representative selection of minority planning topics, in respect of gender, race, age and disability, cross-linked to the implications for mainstream policy areas such as housing, rural planning and transport. Part 3 discusses the likely influence of a range of global and European policy initiatives and organisations in changing the agenda of British town planning. Planning for healthy cities, sustainability, social cohesion, and equity are discussed. Part 4 looks at 'the problem' from a cultural perspective, arguing that a great weakness in the British system, resulting in ugly and impractical urban design, has been the lack of concern among planners with social activities and cultural diversity. Alternative, more culturally inclusive approaches to planning are presented which might transcend the social/spatial dichotomy, such as urban time planning. Concluding that the process of planning must change, the authors ague that the culture and composition of the planning profession must particularly change to be more representative and reflective of the people they are 'planning for', in terms of gender, race and minority composition.